A New Suzy Book’s On The Way! 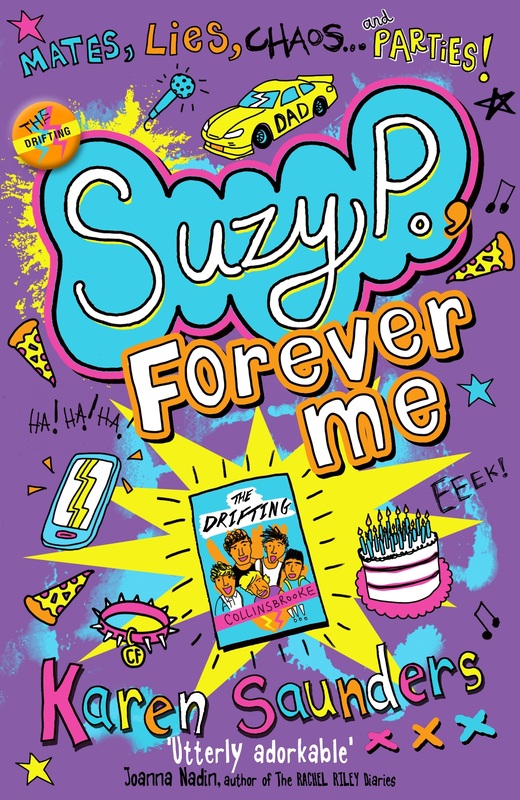 Here’s the cover for the new Suzy book, Suzy P, Forever Me, which will be out in January, and is already available to pre-order. Hope you like it! ← The New Suzy P is Coming! Aw, yay! Thanks so much, so pleased you enjoy the books! I thang yew. Should have known you’d like it, you big purple fan you! Hi Karen, my daughter of 9 years old have read your book, Suzy D, trouble for three. And now she wants to tell about your book en and about you in her class for the other children. The problem is, she can not find any information about you. For example, how old you are, and how many books you have written, and all that kind of information about you. Could you please send us this. We already looked on internet, but could not find this kind of information about you. Best regards. Hi Selin, lovely to hear from you. You will find all this information on the About Me page on the website. Good luck with your report!